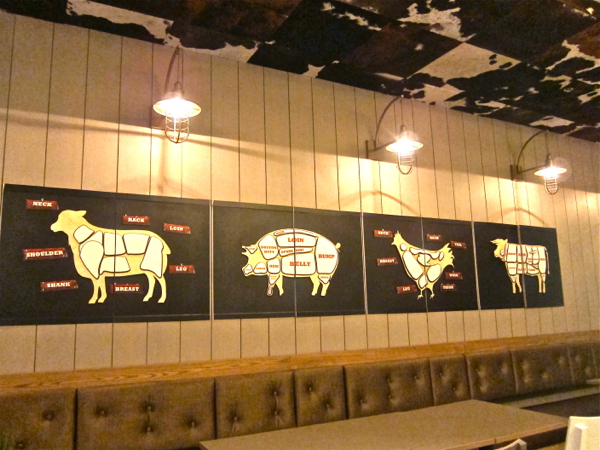 If you love your meat, then there are plenty reasons to try Cue Modern Barbeque, one of the newest restaurants located at Bonifacio High Street Central. Trust me, it was hard to stick to just one or two dishes. Practically everything on the menu is something I would want to order, and I already know I will be going back here with a larger group of friends next time so we can try a lot more dishes together. 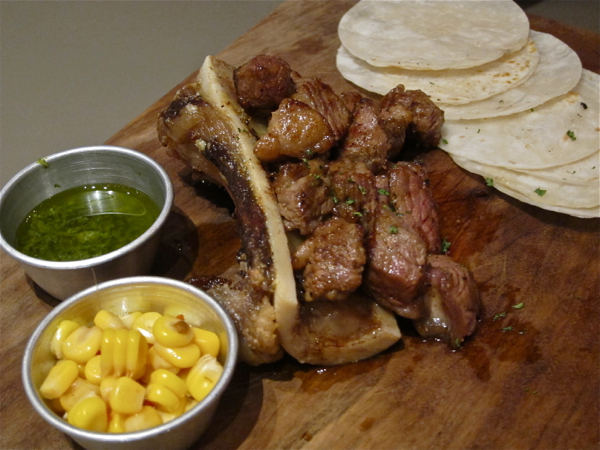 The Bone Marrow and Steak Tacos. It was served on a wooden board and made it all the more enticing. Don’t stare at the food too long though, eat it while it’s nice and piping hot! This is the dish that will keep me coming back to Cue. 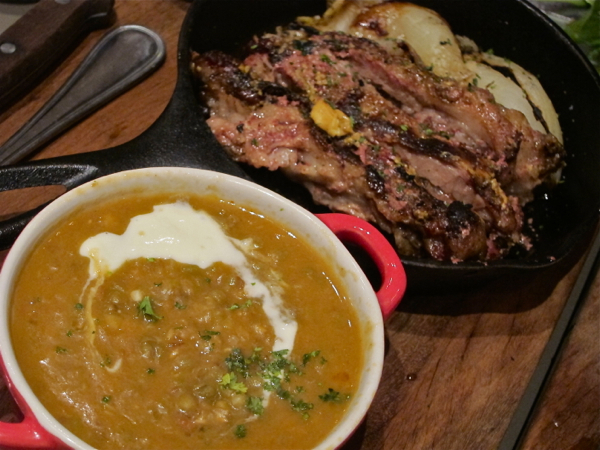 The bone marrow was fantastic, and the steak was prepared, seasoned, and cooked to perfection. I was almost too tempted to use the remaining tacos to absorb the oil from the plate– yes this was a mouth- watering good starter! 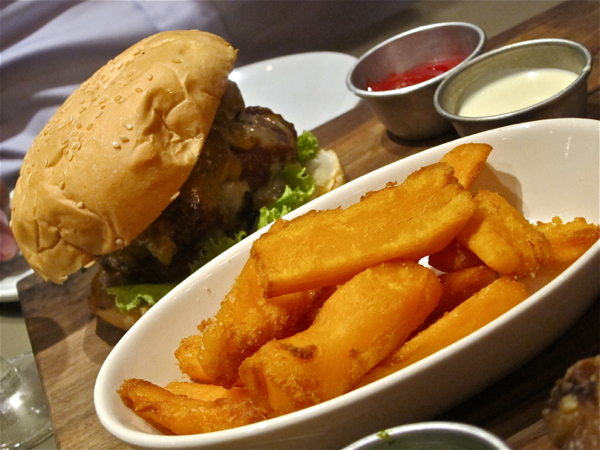 While I was still on the Steak Taco high, our kind server brought in The Cue Burger, served with sweet potato fries. Quite a welcome change to be served with potato fries. I love potato fries, but having sweet potato fries was an entirely new thing and oh wow this pairing with the burger is really the only way to go! The beef burger was very tender and yes, juicy, as it should be! 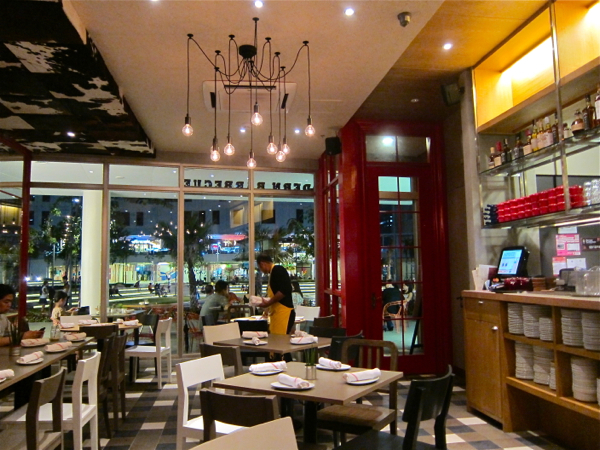 It was full- flavored and exceeded my expectations of what a gourmet burger should be all about. I am happy my friend ordered this because this is again another dish I would like to have the next time I come back with the kids. I admit, when the Sliced Corned Beef Belly was first ordered, I had my reservations. I grew up not a great fan of corned beef, so it was not high on my list of things to eat. But according to our server, this was a favorite dish so we did try it. Really, thank goodness we did. This dish is proof that you really must try the food before you decide on whether you do like it or not. If there was a side order of rice lying around, I knew I would’ve tackled it on with the beef belly. It was fan-tas-tic! I was really in meat heaven with this dish. Paired with Cue’s chili mongo (which was a better alternative to rice, quite frankly), this was a clear winner! It was hard not to order seconds. I really tried to stop myself because I was already full. But you know when there are certain dishes that still leave your mouth watering after you have gone through them? This is it for me. 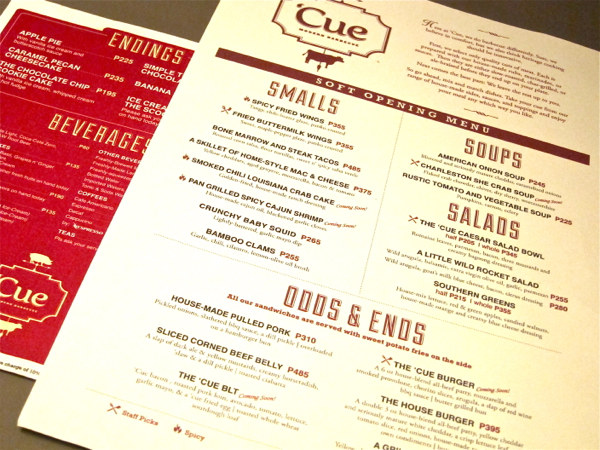 Make sure you bring a nice group of meat eaters when you come to Cue– this way you will get to sample all the dishes in their menu. 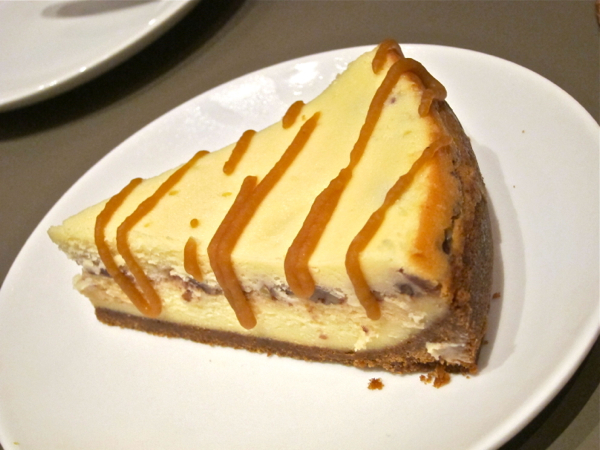 This is exactly what’s on my agenda when I head back out to Bonifacio High Central!